The upgraded Beetle is a competent, comfortable sporting hatch with a design flair that's far from ordinary. The Beetle is an icon and it tells a story, a story way back to the year 1938 - when the original 'Bug' or 'Type 1' was born. 75 years on, ageing Beetles can still be seen on the roads everywhere, making it the longest running and most manufactured car of a single design platform. Launched last year, the third generation Volkswagen Beetle succeeds the ‘New Beetle’ - the cute Bug on wheels that ignited the neo-retro craze at the turn of the millennium. The 21st century Beetle features a more aggressive appearance with a lower profile, while retaining an overall shape reminiscent of the original Bug. The Beetle is now available with the popular 1.4-litre TSI Twincharger engine and joins its 1.2-litre counterpart in the local lineup. 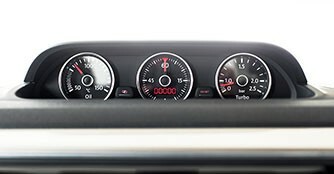 Even a quick glance at the Beetle from the outside will tell you that Volkswagen has done more than slapping a new nose on it. Familiar features such as the classic round bug eyes - now with daytime running lights - greet you as you stand in front of this iconic car. The look of the Beetle is undoubtedly more masculine now, with a longer, flattened bonnet and roofline which portray a lower stance. 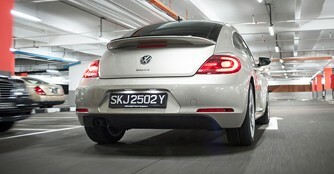 The rear draws a large chunk from its predecessors with a menacing spoiler that gives the car a raring-to-go character. Nonetheless, there is still much to be said about the Bug's cutesy charm that never fails to turn heads.